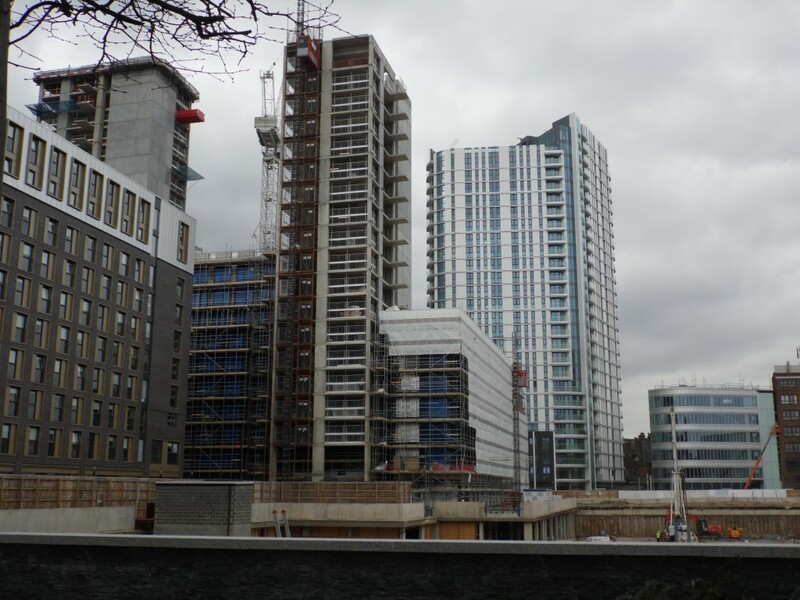 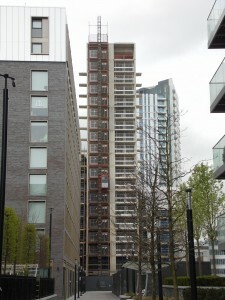 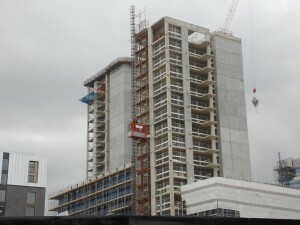 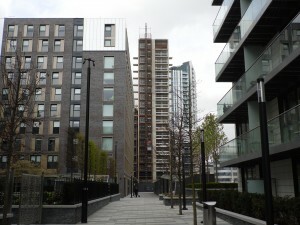 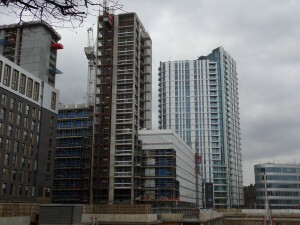 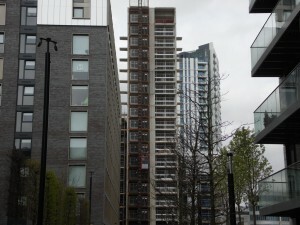 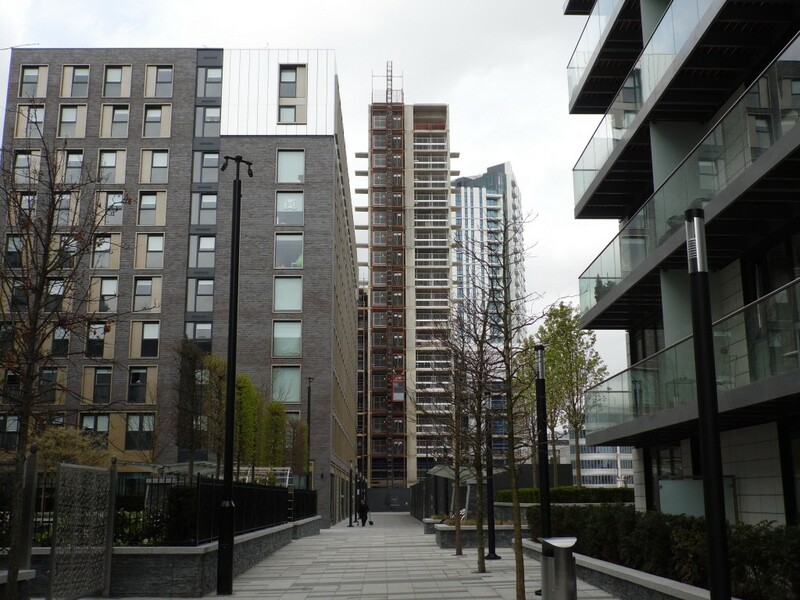 Goodmans Fields is a mixed use 7 acre development in London E1. 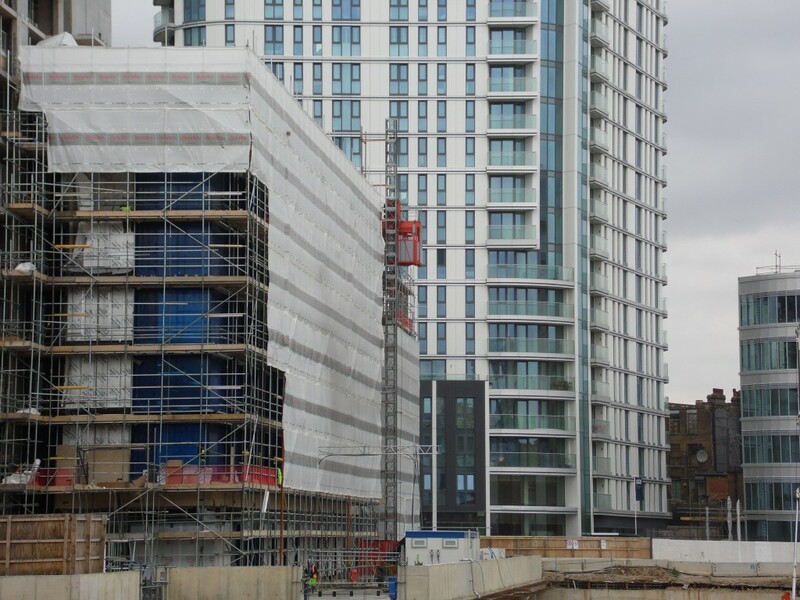 The development will comprise a selection of high quality studios, one, two and three bedroom apartments as well as retail and commercial space, student accommodation and a hotel. The site is located just north of Tower Bridge and east of Aldgate. 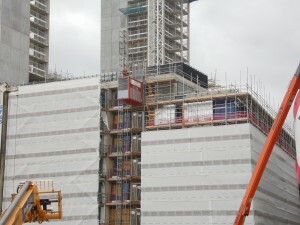 To aid with the construction of this large scale project UBS supplied a number of their larger available hoists. 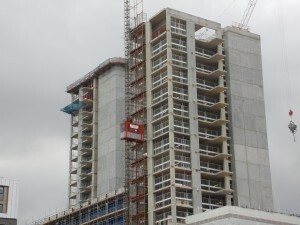 On this project were two twin hoists and a single passenger materials hoist. 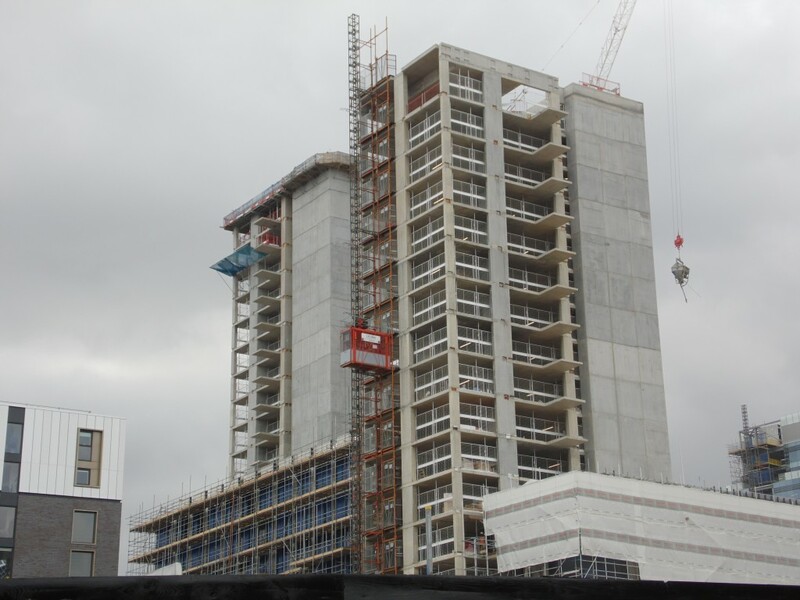 The two twins consisted of a 2000kg capacity, 3.7m long passenger materials hoist alongside a 2000kg capacity, 3.7m long Materials only hoist. The single hoist was also a 2000kg capacity, 3.7m long machine. Site required these larger models of hoists to transport large cladding panels up to the higher levels of the build ready for installation.